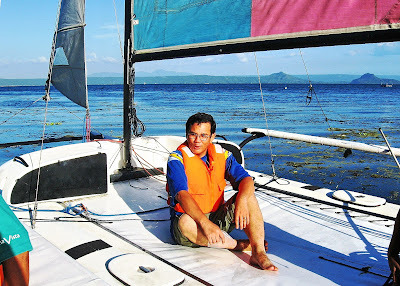 After our Taal Volcano hike and press conference at Club Balai Isabel, Bernard and I dropped by, on the way home, at the Taal Lake Yacht Club (TLYC), the “Sailing Mecca of the Philippines,” to try some Hobie Cat sailing, a first for me. Hobie Cats are small, twin-hulled sailing catamarans manufactured by the Hobie Cat company. The club is dedicated to the promotion of sailing through its learn to sail program, and the creation of its Hobie 16 one design racing program. At TLYC, Bernard introduced me to Commodore Peter Capotosto, TLYC owner, Mr. Joe Hagedorn, Sailing Manager/Membership Coordinator. TLYC grants memberships to accomplished sailors and rowers. TLYC, established in 1996 and located on the northern shore of Taal lake, started to build up a successful and competitive Hobie 16 fleet and, today, has over 50 privately-owned or TLYC-owned Hobie 16s that form the core of several events that are undertaken throughout the year. Hobie Cat 16 is the most popular catamaran ever made and the most competitive catamaran class in the world. 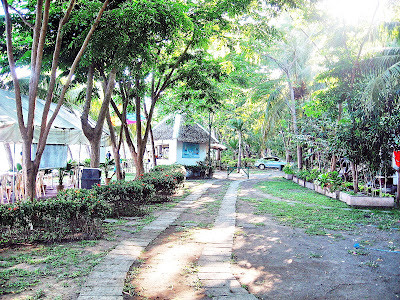 The first Hobie 16 National Championship was held at TLYC in early February of 1997 and was held every first weekend in February till 2003 when it was changed to the end of January to accommodate the Philippine Hobie Challenge dates. The club’s monthly races take place every second Sunday of every month while the Round Taal Volcano Regatta is held annually at the end of November.. The club has a very competitive Hobie 16 fleet and 8 Topper class dinghies for training and recreation. Topper regattas, held every second Sunday of the month, are open to all. TLYC is also considered one of the best campgrounds within 1 hour from Metro Manila, with open cabanas and toilets available for member and their guests. Campers here also have a fantastic view of Taal Lake. TLYC also offers windsurfing (October-April), kitesurfing, keelboats, sunfishes, lazers, optimists, Hobie 21s (good for groups of 7) and ocean kayaks. They also offer trips to Taal Volcano. As the wind was good, Peter allowed Bernard and I used a 21-ft. long, 8.5-ft. wide Hobie Cat 21SC (Sports Cruiser) operated by a sailing instructor. A lady guest also joined us. This spacious catamaran, intended for casual sailing, has a front trampoline, wings, an outboard motor mount and a unique built-in, 68-quart marine grade cooler. It also has 29-ft. mast and 222 sq. ft. (21 sq. m.) of sail. 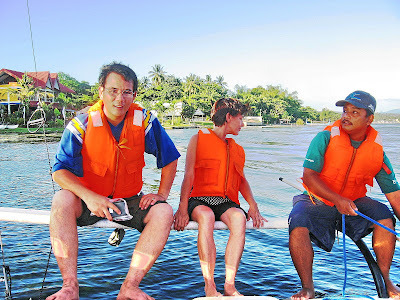 The cruise, though short, was exhilarating as we sailed to the cool Taal Lake breeze. Another “must experience” item scratched from my Bucket List. This has been a fruitful day. Taal Lake Yacht Club: Talisay, Batangas. Tel: (043) 773-0192. Mobile number: (0917) 838-3726. Manila reservation office: Corinthian Plaza, Paseo de Roxas, Makati City. Tel: (632) 811-3183 or 811-3283. Fax: (632) 811-3236. Website: www.sailing.org.ph/tlyc and www.tlyc.com. 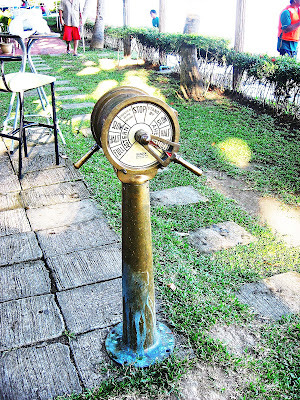 E-mail: peter@sailing.org.ph, peter@tlyc.com or sailphi@i-manila.com.ph.